Members $80 and Non-members $90. 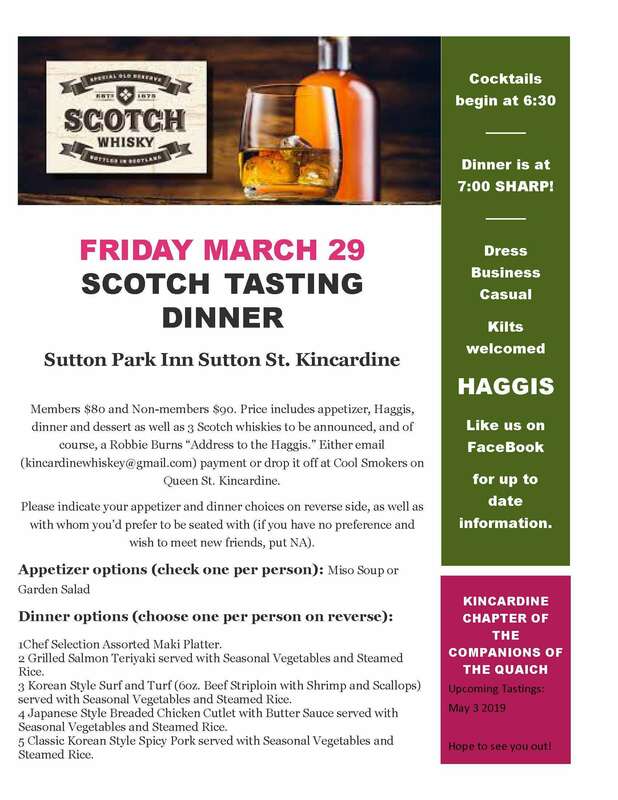 Price includes appetizer, Haggis, dinner and dessert as well as 3 Scotch whiskies to be announced, and of course, a Robbie Burns “Address to the Haggis.” Either email (kincardinewhiskey@gmail.com) payment or drop it off at Cool Smokers on Queen St. Kincardine. Dress - Business Casual - Kilts welcomed!